Head over to the Store to the Bugaboo Store to see the rest of the set. 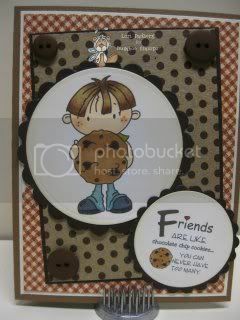 Fabulous card Lori, love the image and great colouring..
Lori he is absolutely ADORABLE!!!!! Thank you so much for linking up at Make it Monday! Don’t forget to be in the running to win this week’s fabulous prize, just leave a comment for another entry and mention you saw them on MIM. The more comments left, the greater your chance of winning!